Are you looking for a company that does Roof Coatings in Oxfordshire? SAS Projects is the ideal company for your Roof Coatings project in Oxfordshire. We have many years experience in Roof Coatings and other services in Oxfordshire. Our highly skilled team can provide a trusted services including project management and delivery. We have been serving companies and delivering projects in and around Oxfordshire for over 10 years and have becuase a trusted and respected partner on many projects. Our Roof Coatings team have the experience, knowledge and skill to deliver your project on time and on budget. A roof coating is a fully adhered roofing membrane. It has elastic properties that allows it to stretch and return to their original shape without damage. Typical roof coatings vary in thickness and become the top layer of a composite roof membrane and underlying system. As such, the roof coating is the topmost layer of protection for the membrane, receiving the impact of sunlight, rain, hail and physical damage, which also makes it water resistant. Roof coatings are seamless and when installed correctly, can solve roof leaks on almost any type of roofing material. Roof coatings are generally simply to install, although larger roofs or those with leaks and ponding water issues should be coated by a qualified professional. High pressure airless spray equipment, pressure washers with rotary nozzles, roof repair equipment and basic painting tools such as brushes, rollers, putty knives, and scaffolding will all be needed to apply roof coating in a proficient manner. As a registered installer of high quality roof coating products, we offer some of the best roof coatings services on the market. Over time, harsh weather can break down your roofing surface. As you roof becomes less water resistant, moss and algae can start to thrive. This could lead to you roof beginning to absorb water, adding to the weight that the buildings structure will have to bear over time. By applying a protective paint, you can immediately seal your roof and prohibit the growth any further. Our proven coating is breathable but waterproof. It is also reflective, flexible and thermal. 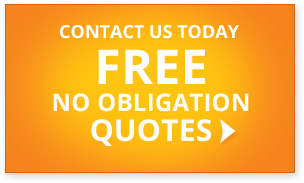 for a fast, free, no-obligation quote or to discuss your roof coatings project.